It is estimated that between 42 to 45% percent of first marriages end in divorce. As partners who were once in love, going through a divorce can be extremely painful and frustrating. This experience is intensified ten-fold when you have children. There is no doubt that divorce has difficult emotional, educational, and social impacts on children. That’s why we’re teaching you the importance of co-parenting children through divorce and using a marriage therapist to your advantage after separation. There are many reasons to see a marriage therapist if you are thinking about or are currently going through a divorce. 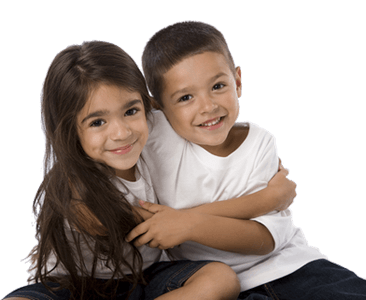 One of the main reasons is so that you and your spouse can learn how to manage your children throughout your divorce. 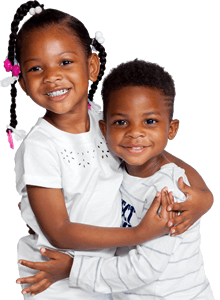 Studies show that children of divorce are more likely to be held back a grade and have a lower GPAthat children from married households. They are also at a higher risk of developing ADD, which can further disrupt their cognitive abilities. Research shows that children learn from observing those around them. Since you and their other parent are the closest people in their lives, watching you argue with your spouse and feeling the stressful atmosphere of the household can contribute a decline in your child’s mental health. Furthermore, the American Academy of Child & Adolescent Psychiatry finds that many children assume the responsibility to mend their parent’s broken relationship, which can trigger chronic stress and anxiety. The sadness caused by parents parting ways and the change in a child’s daily routine (perhaps changing schools, living in two different homes, feeling rootless) can lead to great emotional distress. Research shows that children suffer emotionally in fatherless households. Sadness, hopelessness, and depression are also common symptoms in children who are dealing with divorcing parents. Unfortunately, statistics and research prove that children of divorce are more likely to deal with an addiction to drugs or alcohol, suffer from low self-esteem, and have more sexual partners that children who live in households where both parents are married. Children who have married parents are also less likely to be physically or sexually abused. It’s easy enough to say that you want to work on co-parenting children through divorce, but how could you possibly interact with your ex-partner on a regular basis without pulling your hair out? Here are 5 ways you can co-parent successfully. As parents, it’s important to put your children first after a divorce. This means putting aside your personal feelings you have toward your ex-partner in favor of making sure your child is happy, healthy, and thriving. Studies show that children function best when their parents take care of their marriage. Just because you are no longer married doesn’t mean you can’t take care of your relationship post-divorce. You can do this by refusing to add fuel to the fire by saying things to hurt your ex. You may have hurt feelings after your divorce, but being needlessly mean or spiteful isn’t going to help anyone. Especially not your children. No, in order to co-parent children through divorce, exes must agree to be civil, especially in front of your kids. It’s important for them to see you both getting along as cordially as possible. This will help create a sense of normalcy amidst all the emotional chaos. 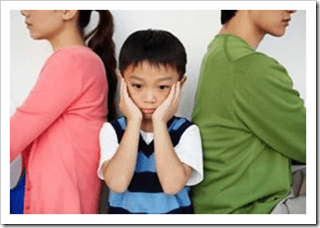 Children are severely impacted by their parents divorcing. One thing that can help make your separation easier for your child to get through is seeing you and your former partner are still a united front. Because like it or not, you are in each other’s lives for the long-haul. You will parent the same child well into adulthood and may one day be grandparents to the same grandchild. It’s important to be on the same page with your ex about how you will raise your children. Stand firm on decisions. Your child should not think that if they got a “No” from you they will get a “Yes” from their other parent. Set up rules that will be implemented in both households (such as bedtimes, curfews, instructions regarding junk food/having friends over/etc.) This will create a sense of unity between both of your child’s homes. There are many resources available to ex-couples who are still trying to co-parent after divorce. A marriage therapist, for example, can help facilitate a healthy post-divorce relationship with your ex. They can also act as a mediator for such topics as financial obligations, parenting tips, and living arrangements. Not only will a marriage therapist help you and your spouse learn how to take on a new role in each other’s lives, but therapy can also be beneficial for children. During and after a divorce, children may feel guilty, abandoned, confused, and hurt. Going to family counseling can be helpful in opening up the lines of communication with your children. You may hate your spouse, but you have to remember that they will be in your child’s life forever. Therefore, it’s important for you to respect their role as your child’s mother or father. You can show you respect this role by not interfering with their time spent together, showing flexibility and being supportive of their relationship. 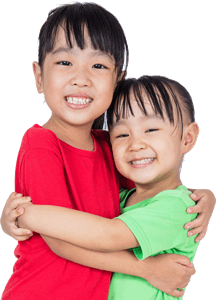 You can help lessen the blow of your separation by practicing co-parenting children through divorce, seeking help from a marriage therapist, and presenting a united front to your child. These steps will show your little ones that you are still a team and have their best interest in mind. Author Bio:Rachael Pace is a relationship expert with years of experience in training and helping couples. She has helped countless individuals and organizations around the world, offering effective and efficient solutions for healthy and successful relationships. She is a featured writer for Marriage.com, a reliable resource to support healthy happy marriages. Made Divorce Mistakes? It’s Not Too Late To Get it Right – For Your Children!